Here is a great summer cottage in a great location! This vertical log jewel was built in 1960. The interior is primarily cedar with log rafters, which really gives off that up north charm. This is located in Crystal Springs Estates on a very secluded lot – 100’ x 319’. The home has a large covered porch to get out of the sun or rain, and also a large open deck. 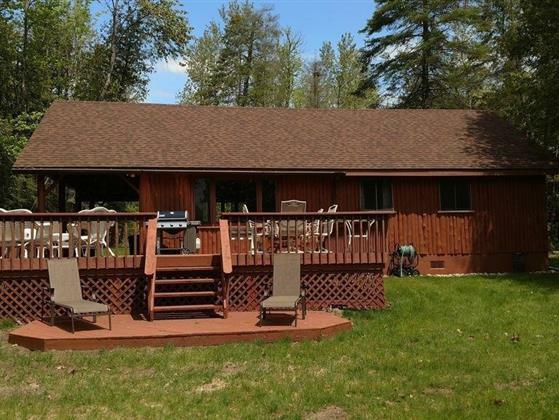 There is another large deck located at the lakefront with gorgeous views of Hubbard Lake. You will look a long time before you find another jewel like this one.